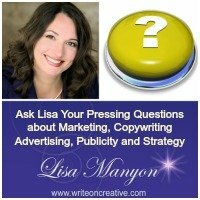 One of the most important investments you can make in your business is learning how to write copy that converts. Copy is the written part of all marketing, advertising, and promotional materials and before your outsource to a copywriter, it’s important to understand the basics of copywriting so you know what to look for when hiring the right writer for your team. AND, before you focus on conversion, you must focus on people and building relationships. That’s where many get stuck. Using the term “Conversion” can feel cold and the cold hard truth is, it’s a vital part of your sustainable business. I am delighted to be interviewed by Anna Runyan of Classy Career Girl Podcast. During this interview we discuss how you can apply the simple “Challenge. Solution. Invitation.” framework to create marketing messages with integrity by focusing on PASSION points not pain points. Plus, we dive into why it’s a good idea to learn how to write better copy yourself. First and foremost you want to connect and build relationships and to turn your connections into business transactions, you must write copy that converts. Tracking conversions is a business metric and numbers shouldn’t ever be more important that treating people like people. Tune into the interview to hear how you can do all of this naturally and gracefully without hard-sell, or manipulative tactics. 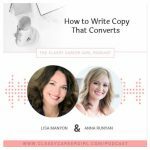 When you’re ready to write better copy yourself, click here to get the details of my training program Create Copy that Connects and Converts with PASSION Points. Want to learn more about how you can apply the “Challenge. Solution. Invitation.™” communication framework to improve your business message? Click here to join the Write On Creative Community. This entry was posted in Copywriting, Resources and Interviews	on Monday	November 14, 2018 at 10:08 pm. You can follow any responses to this entry through the RSS2.0 feed. You can also leave a response.